While The Research Loop cannot provide you with copies of articles, you can visit several sites to find them. 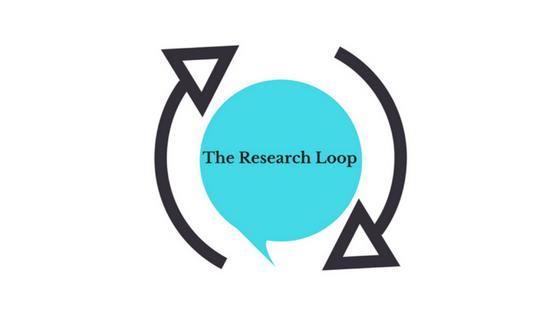 The Research Loop hopes that open access to research will become a priority for all research institutions and journals. Access to research is in line with our goals to involve patients in all aspects of research. Additionally, open access leads to transparency and accountability. Until then, we recommend you keep calling for open access along with us and look forward to seeing what you find. Below are a few resources where you might be able to find research articles. This is not a comprehensive list by any means but should provide some direction to help you find articles you are interested in. Google Scholar – Google Scholar is a targeted Google search for scholarly literature. This is a great place to start your search by keyword, author name, or research title. Once you enter your search, just like Google, you can sort through the most relevant results and find links to journals or other online repositories with research articles. PLOS – PLOS is a non-profit open access publisher. The mission of PLOS is to pursue open access to research articles and research data. PLOS has journals in biology, medicine, genetics, and more. PubMed – PubMed is a U.S. government initiative with millions of citations for biomedical literature from various sources including MEDLINE, life science journals, and online books. PubMed also has a great Help section that with information to assist you with your searches. It includes frequently asked questions, quick tours, even YouTube tutorials. U.S. National Library of Medicine – The U.S. National Library of Medicine has many resources including PubMed, Medline Plus, ClinicalTrials.gov, and more. U.K. National Institute for Health Research – NIHR has five open access peer-reviewed journals on a range of health research areas. ScienceDirect – ScienceDirect is run by one of the leading publishers, Elsevier. It includes thousands of journals and books. Sage – Sage Journals is a site with over 1000 journals spanning the including publications in science, technology, and medicine. BioMed Central – BioMed Central is an open access site that publishes research in biology, medicine and health. ResearchGate – ResearchGate is a website that helps researchers connect with each other. Anyone can sign up for an account and request articles from researchers, however a request does not necessarily mean the researcher will respond and provide a copy of their articles. Medical Journals – Some medical journal sites have open access to the research they publish – including the The BMJ, Journal of the American Medical Association (JAMA), The New England Journal of Medicine (NEJM), The Lancet, and Health Affairs. You may have to register to gain access to the articles in the journals and still not all articles will necessarily be available. Local or University Libraries – many libraries have great repositories of research and can often help you find the articles you are looking for. Unpaywall.org – Unpaywall is an extension that you can download and install in your browser that will help you get access to author-uploaded PDFs of their research articles. The idea comes from Impactstory, “a nonprofit working to make science more open and reusable online” with grants from the National Science Foundation and the Alfred P. Sloan Foundation. Open Access Button (OA Button) – With OA Button you can visit the site and search for a specific articles. If they can’t find it in one of their repositories (listed here), they’ll make a request to the researchers. OA Button also has a browser extension you can download.